In a small way, I consider the Raspberry Pi almost like a Lego brick. On its own, it’s an interesting device, but it becomes more useful when combined with other components. What would be more natural then, than combining it with other Lego devices along with a few of my own devising. 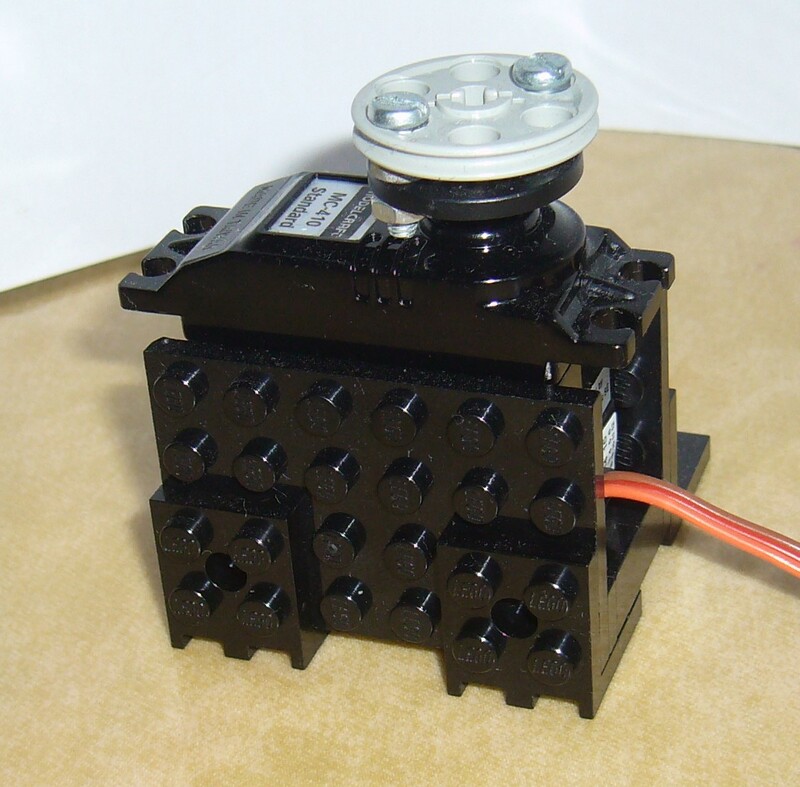 In previous posts, I’ve shown how servos can be used to create some pretty whacky Lego devices, but equally I feel that individual bricks are open to hacking. Note… this is pretty gruesome stuff – drilling, cutting and filing Lego bricks. Even something rather similar to “The Kragle” ends up being used! Rather than steal my son’s Lego, I’ve been using Bricklink as a place to buy specific parts. I’ll try to list their code numbers here so that they’re easy to find on the Bricklink website. Bricklink serves as a market place for people to sell their bricks. 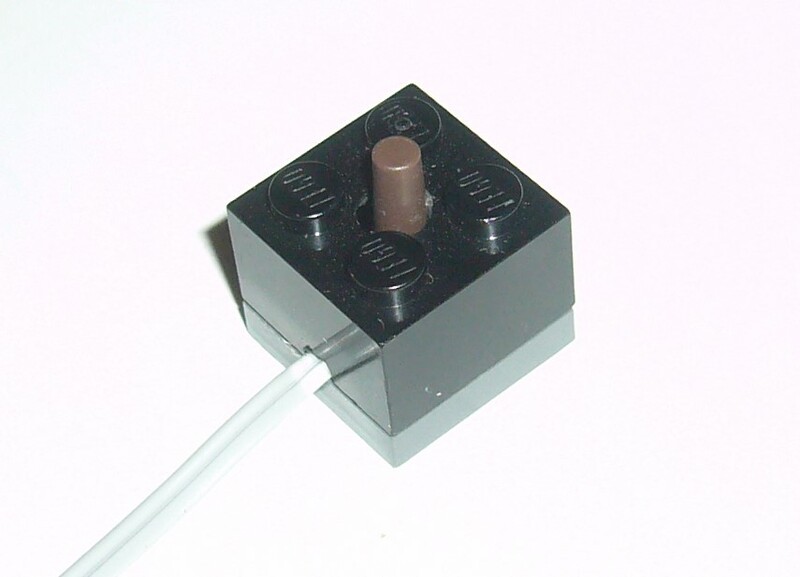 In a follow-up post, I’ll show the current version of my Lego interface. I’ve debated at length in my own head how to wire these. Essentially all the device needs is a resistor and LED to be mounted into some kind of transparent brick, or for the LED to be poking out of the top. A standard 5mm LED can be fitted inside a 2×2 brick if it’s allowed to shine through the top. This does mean that other bricks can’t be stacked with it, but it is a neat solution. These 2×2 bricks are also available in clear (I bought Trans-clear, Trans-Dark blue, Trans-Green, Trans-Red). 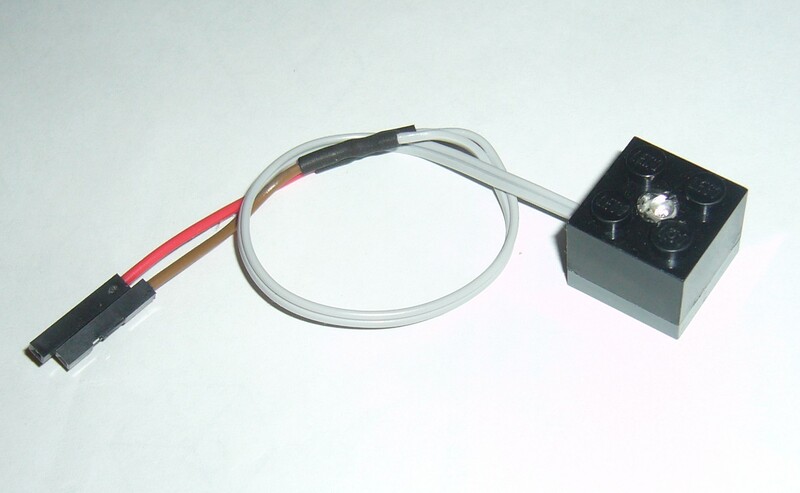 These are easily made with a 6mm tactile switch with a long actuator. A blob of hot glue can be used to keep the whole switch central while the rest of the brick and plate is assembled around it. The switch is connected to a short cable with 0.1″ Female connectors on the end. I’ve also had success with using 4 tactile switches on a PCB. 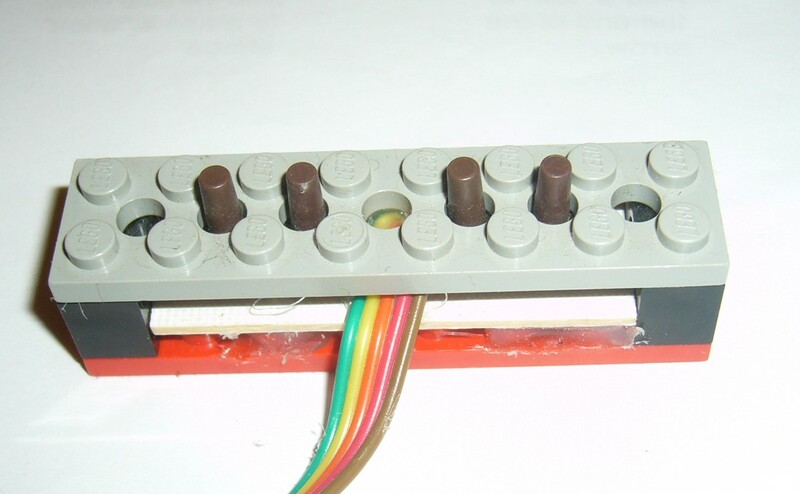 The spacing between studs is 8mm, therefore it’s a fairly simple job to create a PCB which matches. I’ve linked one side of each switch to a common line to reduce the amount of cables required. 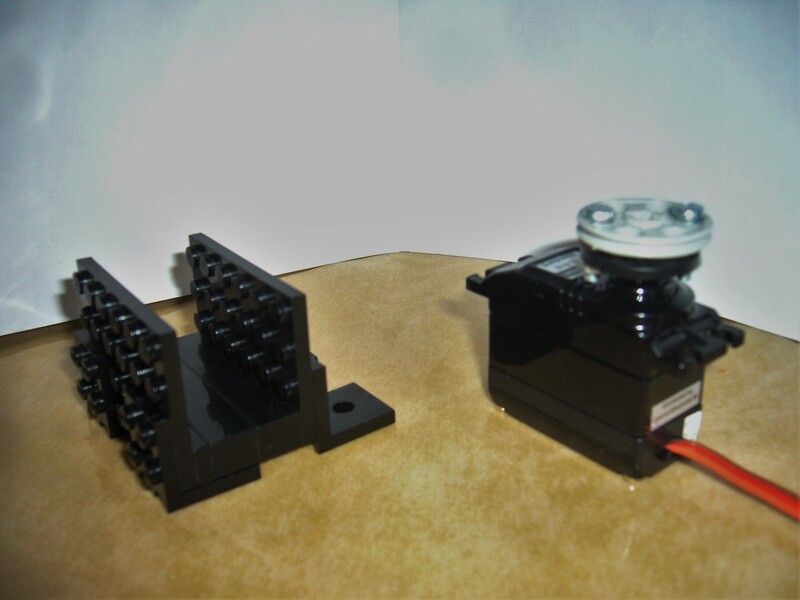 Connecting servos into a Lego system remains the biggest challenge. I tried a number of ideas before I settled with two possible solutions. The micro servos seem to work best glued to a tile. 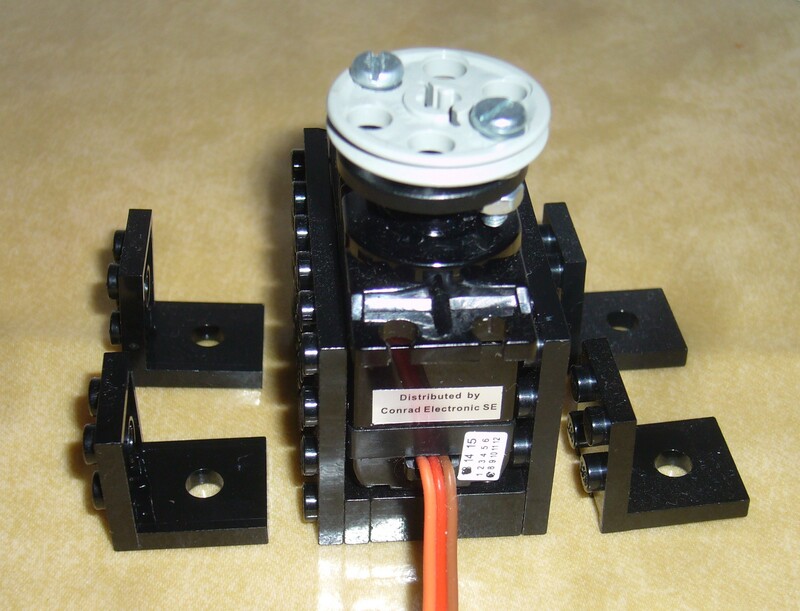 It needs to be something that’s compatible with the plastic of both the servo and plate. Hot glue seems to work well here, although I have had success with some solvent-based cements. Polystyrene cement worked well for a bit, but surprisingly I did have on piece fall apart. Larger servos require a different approach. I build a framework out of bricks and plates and that seemed to work well, but it does mean that right-angle parts are needed to mount it if the axis of rotation needs to be vertical. The egg-drawing robot used a large servo resting on a tile, with some small axles to centre the spindle within the Lego grid system. All of the pieces need to be stuck together with solvent and then the servo can be linked into this with hot glue. It’s fairly neat, robust and fits into the Lego system well. 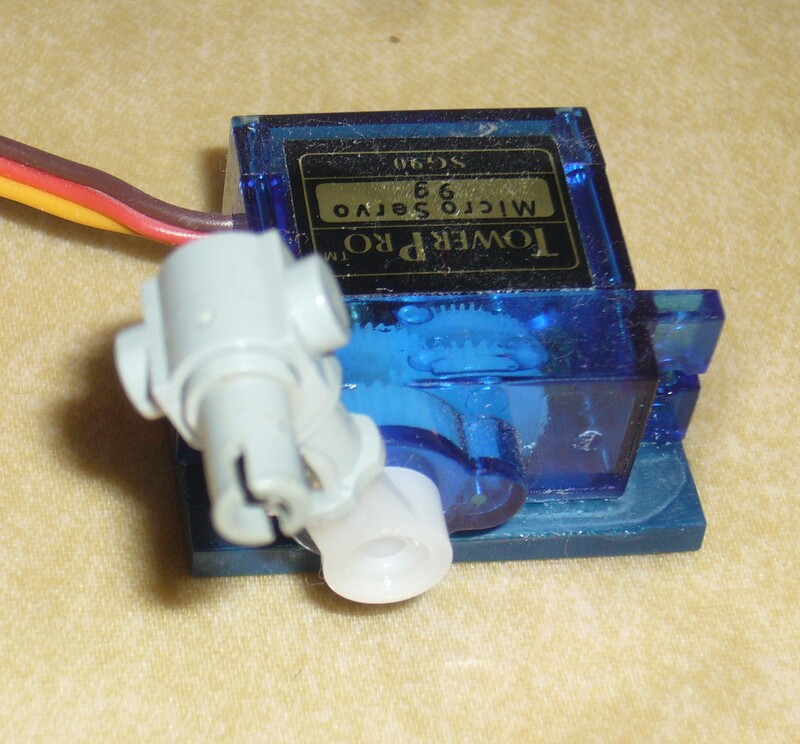 The servo actuator needs a little bit of treatment to make it useful. 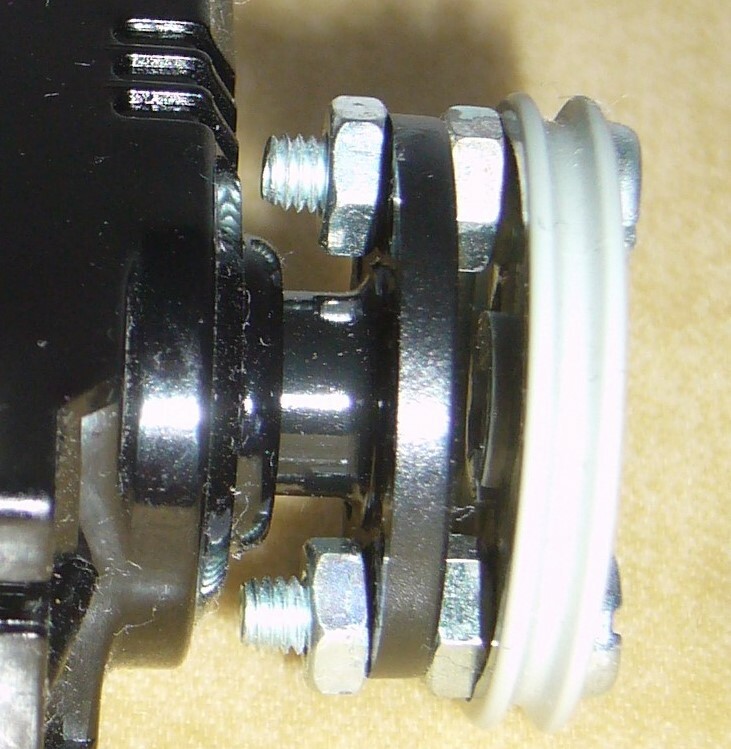 Small servos can use a Technic axle and pin connector (Part no: 3651) and larger servos will need modifying with a pulley (Part no: 4185) along with some small screws. I used PCB pillars to get the spacing just right. This entry was posted in Electronic circuits, Lego, Python, Scratch, Servoblaster. Bookmark the permalink. Bluedot – Bluetooth and the 4-tronix Initio Robot.